I tore myself away from page 136 of The Further Adventures of Brer Rabbit to look at her. She had her head thrown back, laughing out into the sky that would have been moving so fast in front of her eyes that the clouds would have seemed to be coming alive and running around like little white rabbits let loose in a barn full of hay. She was taking that swing as high as it would go, kicking hard off the soft tonsured soil in the grass from where thousands of children had previously taken flight. As she launched herself again, she nodded at me asking me to join her on the swing — come, there’s enough space for both of us. I considered the invitation. There definitely was space for me to squeeze in. I knew if I went up to her, made her slow down, sat beside her and we tried to kick off together, it was going to be one comedy of so many errors. I would not kick as hard as her — I was tentative, she was sure — and we would end up turning left and right, instead of back and forth. We would both have gone red then — she with laughter, I with shame. We would have tried again and again, failing each time as I lost more of my confidence and she her patience, till she anchored her feet on the ground, levelled me with her eyes, asked me to get a grip of myself and follow her count — one, two, three. I am good at following orders. I would have done it with the count and we would have, for once, gone back and forth and back again, each time she counting out the three seconds so I could get the kick right. Slowly we would have gained pace and a bit of confidence too and I would have tried to be a bit more comfortable with her thighs touching mine, both bare, her hair flying into my face, tickling me, her body smelling of lavender soap, making me smile. She would have seen me sniffing the shampoo of her hair, laughed as she as she always laughs, shaken her head and asked me — kick harder, dummy. I would have focussed again on the piece of tonsured soil, waiting for her one, two, three, but it would not have come this time — only a twinkle in her eyes — and I would have panicked. 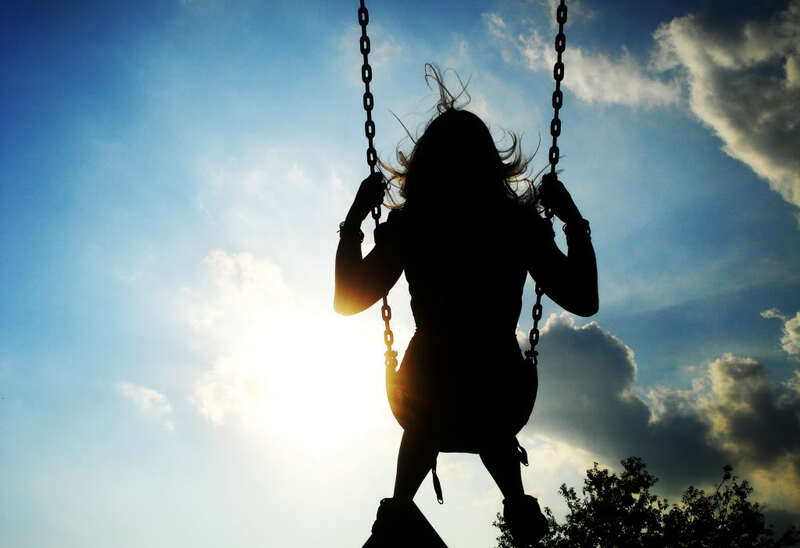 I would have jumped the gun, put my feet down before I was meant to, bringing the swing to a jerky halt, hurting my feet and throwing her ahead in her seat. She would have held strongly to the ropes, even glancing at me to see if I was OK, only to find that I had already broken into tears, flooding the pink cheeks that had singed with the sorries that I could never say. She would have brought the swing to a stop, hugged me like she always does, taken me to where my book lay and read it a bit to me. There was always magic in her voice and I would have eventually quietened down. I would still have the sorry stuck inside me that I would try to say out loud. She would have seen me struggle and with a hand ruffling my hair — it’s OK, silly. I know you didn’t mean it. And with that I would have cried all over again and she would have laughed all over again and finally I would have hugged her as I always do when I am upset. She would have picked me up, given my book to me and we would have headed back to class. I considered the invitation again — no, I would rather read how Brer Rabbit beat the wolves. I smiled at her and shook my head, pointing at the book in my hand. She shrugged. I smiled. She returned to looking at the movies playing on the dome of the sky. I returned to the story playing out on page 136. I had written Swings when I had first started writing in my digital journal eight years ago. Swings was me trying to record one of my earliest memories at the school park. If swings scared you, as they scared me, and you want to know if we are more alike in other ways, hit the Follow button in the bottom right corner of your screen. If your browser is retarded and the button doesn’t appear there, go hit the menu button in the top right corner of the page and you would know what to do next.